Multifocal Contact Lenses Without Prescription - . As we start to grow old, our senses start to grow old as well. By the time we are in the 40-45 year age group, the first thing we tend to face is eye problems, which in medical terms is called presbyopia.Why does this happen? As we grow old, the iris of the eye is becoming less elastic. This means that it finds it much more difficult to accommodate to changing light effects. And, it cannot adjust itself that easily. So you can have problems while trying to look at anything from a short distance. Also, while trying to change the distance between your eyes and an item there can be problems as well. The worst thing is that the condition people who have not had any eye problems before and those who had been suffering from myopia or hyperopia both are equally affected by this condition. And, to get it correct you must start using vision glasses based on the prescription of a medical professional.How can this be treated? There are two ways to get rid of your vision problems Mon vision or using contact lenses with two or three correct spheres – depending upon you and what your oculist says, you can use both glasses and progressive contact lenses. The choice can be made from daily contact lenses (Focus DAILIES Progressive), to two weekly (Acuvue Bifocal) or monthly 24 hours contact lenses (Pure Vision Multi-Focal). But, don’t forget it’s all about your comfort. So choose wisely when it comes to buying multifocal contact lenses without prescription. 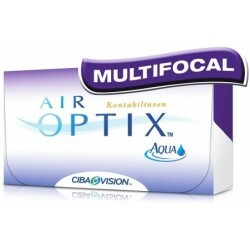 Multifocal There is 1 product.